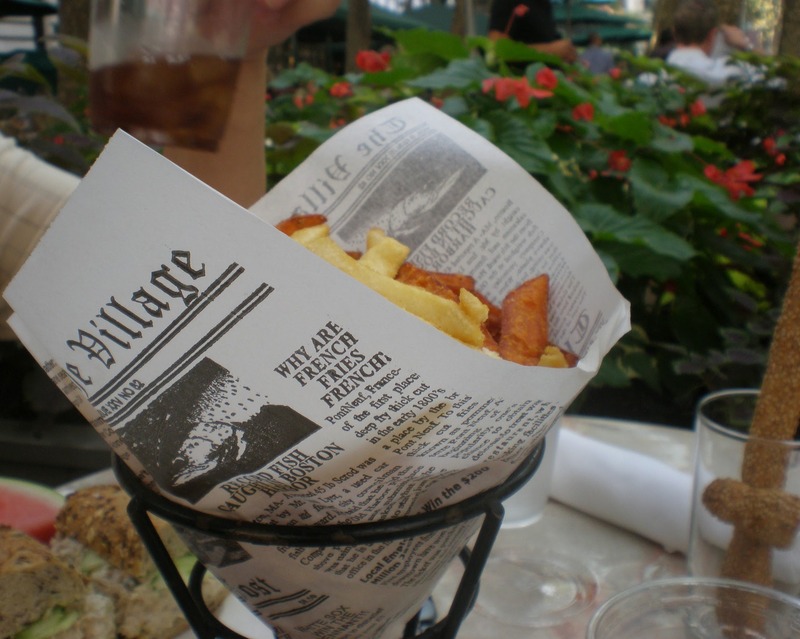 Delicious memories from a recent lunch in Bryant Park, NYC! Come to think of it, why are French Fries French? Photos taken at the Bryant Park Grill Cafe. 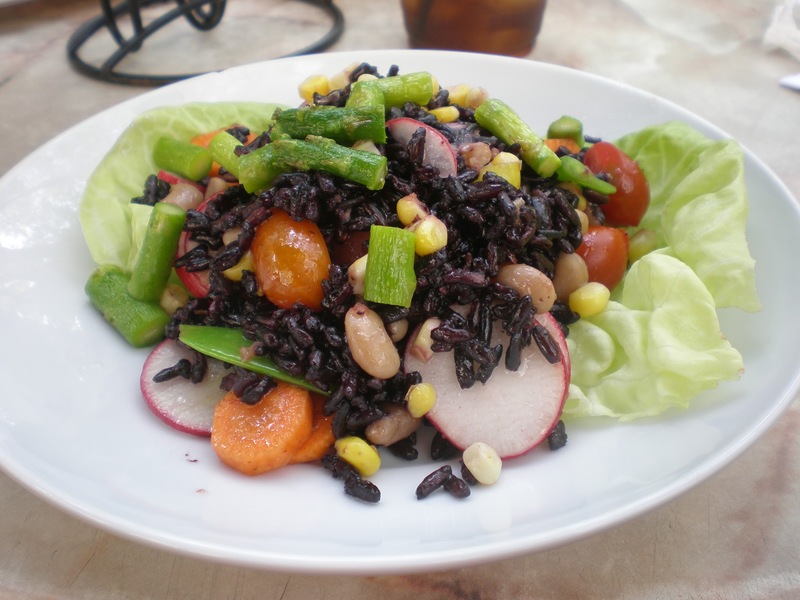 This entry was posted in Food, food photography, New York City, Wordless Wednesday and tagged Bryant Park Grill Cafe, Forbidden Rice, French Fries, Vegan by Paula Kiger. Bookmark the permalink. Looks like an amazing lunch! Great pics too, Paula. Kristi – it was – made even better by the company of a dear friend! Looks very charming – an outdoor cafe type place? Loni – yes – Bryant Park is a large park in New York City, adjacent to the big Public Library (if you watch the outdoor concerts on Good Morning America, a lot of them are done there). It is gorgeous and the day was made even better by sharing it with a friend I see rarely! This looks like a great place to have lunch!! Jay – I really loved the way they juxtaposed that verbiage about French Fries into the liner they used for the fries (which were yummy by the way)!! Thanks for hosting the hop.